Hours are flexible and meetings by appointment only. Please call anytime. 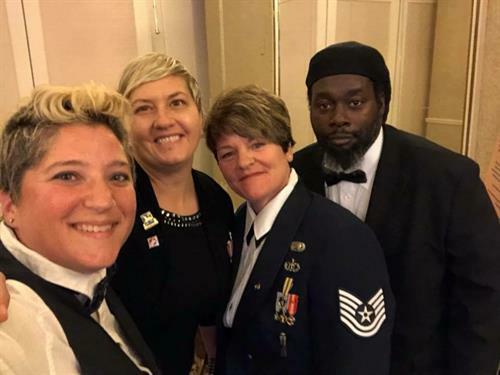 Veterans for Diversity’s mission is to provide holistic and inclusive LGBTQ+ programs and services that improve the overall mental, physical, and emotional health for all who served in the U.S. Armed Forces. For over a decade we’ve served our veterans and their families with pride. We elevate our outcomes with strategic decision-making by leveraging communal knowledge and working in local partnerships to create a holistic programming environment for our veterans and sustain achievable organizational goals. Taking a similar approach to success, we know we can’t achieve true healing, effective learning, or relevant outreach without an active constituency and community engagement.